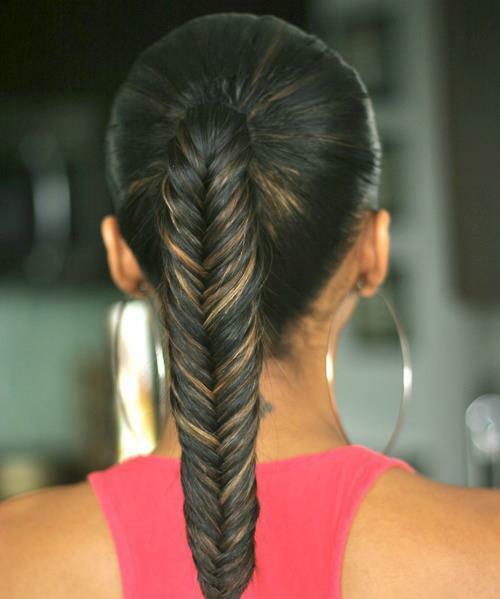 If you have long hair and want to change up your hairstyle, braids and buns can be the way to go. There are many different types of braids and buns, each with its own unique vibe. They can be fun or glamorous, youthful or serious. They can add to the allure of your natural outdoorsy look or enhance your no-nonsense office attire. To do braids and buns, you’ll need a good comb and hairbrush, hair securing items like elastics or clips (which kind will depend on the particular hairstyle as well as personal preference) and some hair products like gel or spray. Many hairstylists say braids and buns hold best if you don’t wash your hair that day. Next-day hair has more natural oils, which makes it easier to work with. Knots can be a drag when creating braided or bun hairstyles, so be sure that all knots are carefully combed out. The hair to be styled can be slightly damp. Subscribe to the House of PlumRed Blog & receive sweet little notifications of new posts via email.